In the day to day restoration of electronics, collectibles and so on I have grown to love the Dremel tool. I find that I turn to this tool more often then the bench grinder that it seems to be replacing. The Dremel has a ton of different uses. It can be used as a drill, grinder, wire wheel, buffer, the list is endless. They even make a battery operated version that I have used with great success. In this section of the site I will list some before and after photographs of some of the tasks I have accomplished using a Dremel tool. 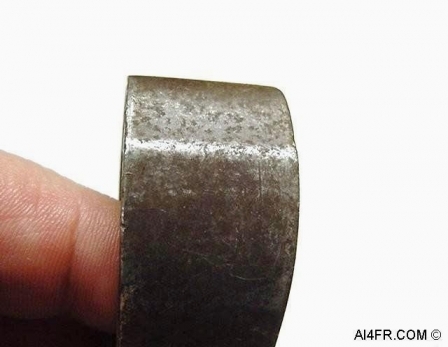 These first two photographs show both sides of a couple of bolts. 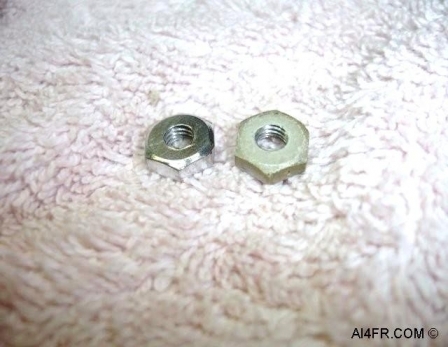 The bolt on the left is not a new one and in fact, looked identical to the one on the right. They were removed from a Hallicrafters SX-28 when I was restoring that receiver. Using a Dremel tool with a wire wheel attachment I was able to get the results you see here in just a few moments. 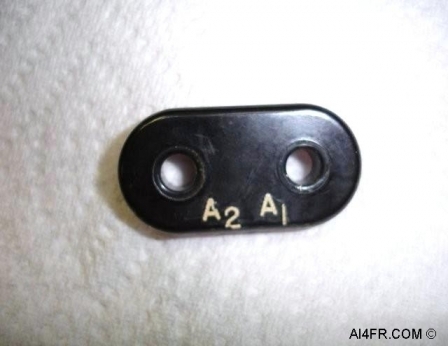 These next two photographs show some more parts from that same Hallicrafters SX-28 receiver. 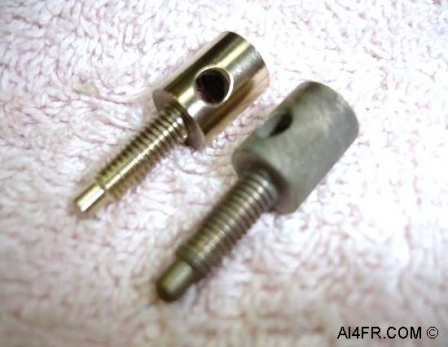 The pictures show the before and after photographs of the antenna connectors. The Dremel tool has got them looking like new again. 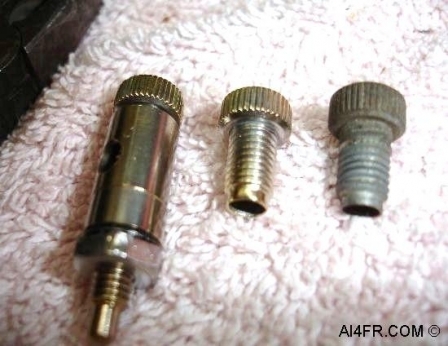 These next two photographs show the before and after pictures of an SX-28 antenna grommet that was cleaned using a Dremel tool with a bristol wheel attachment. I tried soap and water but the accumulation of crud proved too much of a match for that cleaning measure. The Dremel tool had the crud off in no time flat. 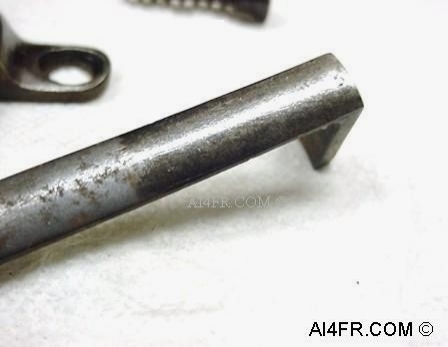 These next two photographs are of a barrel band / bayonet lug from an 1893 Turkish Mauser. As can be seen in the picture on the left, there is a considerable amount of freckling on the blued finish. The picture on the right shows half of this freckling now removed. To accomplish this, I used a wire wheel attachment in the Dremel tool. Some more parts from that 1893 Turkish Mauser going through the cleaning process. 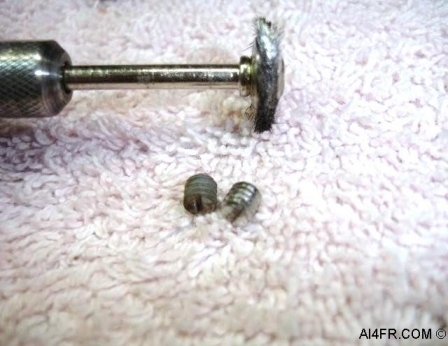 In the picture on the left, I cropped in a before photograph of the wood screw for comparison. 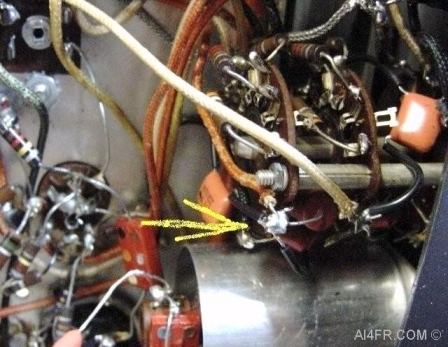 Also seen in this picture is the sling attachment with half of the discoloration removed. While it does not look new, the part that was refinished sure does look a lot better then the other half that is still coated in rust. The picture on the right is another example of how a Dremel tool with the proper attachment can help restore the finish to these old rifle parts. A small caution note is in order here, on some if not most firearms this can be a tricky process. If done improperly or even attempted at all, this type of work can seriously destroy the value of a firearm or any collectible item for that matter. 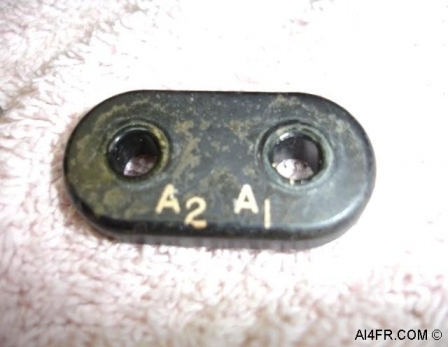 Even collectors of telegraphy(CW) keys warn that it is often best to not do any such cleaning to the metal surfaces. 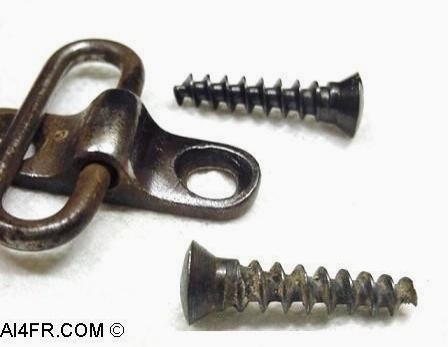 The picture on the left is a homemade set-screw. To learn how this was done using the Dremel tool please CLICK HERE. Through out this section you have seen some tips on using a Dremel tool and how it can make any restoration easier and better. This last tip is some what dangerous so please be careful if you attempt it. 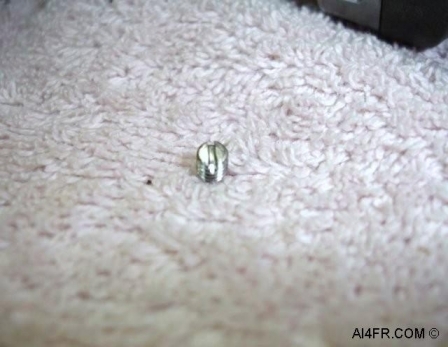 The picture on the right Is from a Hallicrafters SX-100 and shows a part that was cleaned just prior to the installation of the new capacitor. What I do before I solder on a new component is to always clean the connection throughly with the Dremel tool. This way I can be sure that a good electrical connection is made. 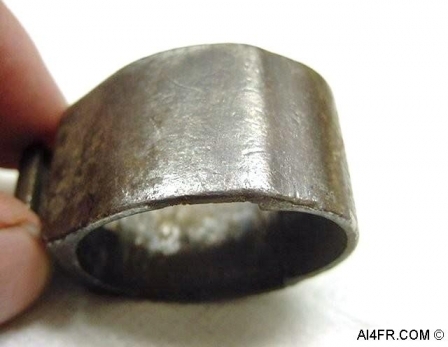 This does not have to be done with all repair jobs, but when working on items that are decades old it is a good practice to remove all of the oxidation. I will even take some very fine, normally 0000 steel wool and clean the oxidation off the leads of older junk box components before I install them in a device. So you ask why is this dangerous? 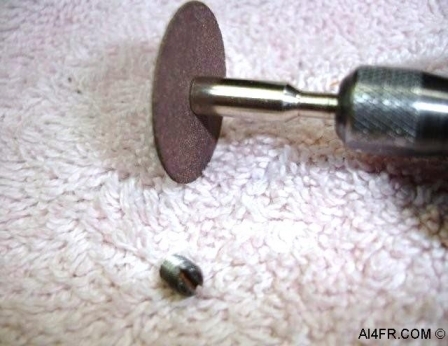 When you use a Dremel with a wire wheel attachment to do this, you run the risk that one of the tiny metal wires from the wire wheel will fly off and make an unwanted connection that could become quite costly when power is applied. I also use the Dremel to clean the threads of screws. Even though no one will ever notice these screw threads when they are turning the knobs of a radio, I clean them any ways. It just takes a few moments with the Dremel to get the results you see here. 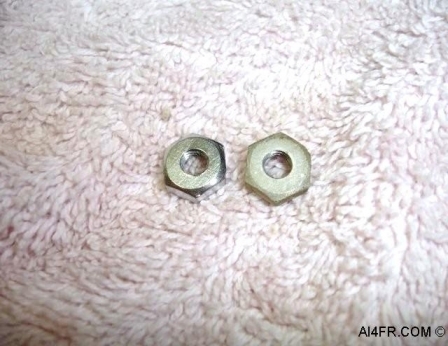 In the photograph on the left is an old set screw that has some rust on it as well as a number of burrs in the slot that are left over from a screwdriver. The first thing I do is clean all the rust off the top of the screw and the threads using the Dremel. Now I have a clear picture of the set screw and any damage that has occurred to the screwdriver slot. The picture on the left also shows the Dremel tool attachment that I use to clean out the screwdriver slot and remove any old burrs. I carefully insert the Dremel tool attachment into the slot of the screw to both clean it and to remove any old burrs. This task can be done with a file, but in my opinion it is so much more easily accomplished with the Dremel tool. It takes just a few seconds and your done. I have not thrown away the files though and use them for delicate work such as on screw heads that have been put through the bluing process, namely on firearms. The photograph on the right is a before and after picture of the cleaning and de-burring process.